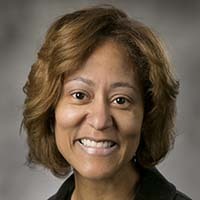 Sheri Matthews serves as the associate director of finance and administration for Duke University's Nicholas Institute for Environmental Policy Solutions. She is responsible for the oversight of administrative and financial management as well as grant administration of the Nicholas Institute. She holds both a bachelor's and a master's degree in business administration.